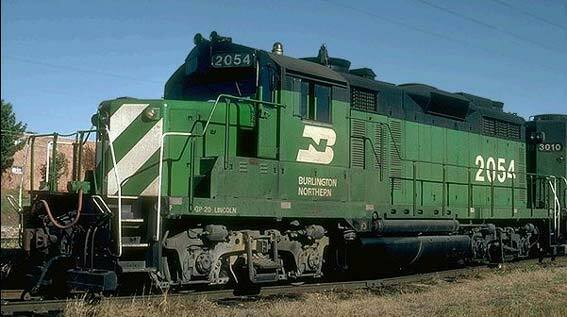 EMD turbocharged its existing 567 engine resulting in a 2,000 horsepower locomotive designated GP20. EMD offered to rebuild older FT units into new GP20 locomotives using remanufactured parts from aging FTs. This allowed railroads to trade in four FTs totaling 5,400 h.p. for three new locomotives providing 6,000 h.p. All the remanufactured parts carried a new factory warranty. 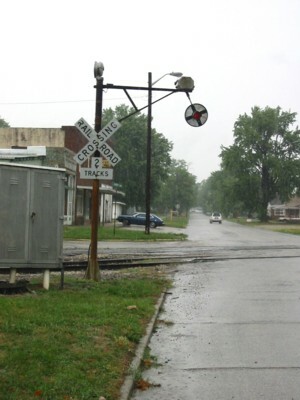 Many railroads took advantage of this cost saving program. The GP20 set the stage for things to come. Its innovative design ushered in the higher horse power second generation in diesel locomotive design. By the mid 50s, increasing pressure from long-haul trucks, declining passenger revenues and mounting costs forced western railroads to find new ways to improve service. Faced with expensive overhauls of early cab and hood unit diesels, many began looking at new equipment as well as ways to improve existing motive power. 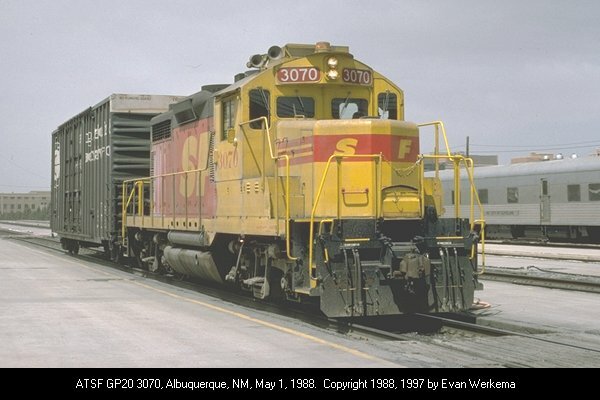 In 1955 Union Pacific equipped several GP9s with turbochargers as an experiment. Their success inspired EMD to create its own turbocharger for the 567 prime mover, leading to the introduction of the six-axle SD24 in 1958. Further experiments in 1959 created a four-axle version, dubbed the GP20. Early in their careers, the new units were typically assigned priority freights that demanded higher speeds. With the arrival of newer power, they were gradually bumped into secondary runs, and eventually spent their last years in local and yard service. Following their retirement, a few went to work for shortline operators. Western Pacific #2001, the very first GP20, was donated by UP to the Feather River Rail Society in 1985, where it has been restored to its as-built appearance. Life-Like’s ‘N’ scale GP20 can make similar claims tothe prototype. The all die-cast frame fills the locomotive shell with every possible ounce of weight. Weight in a locomotive not only means better tractive effort but also enhances electrical pick-up. These provide for superior performance. 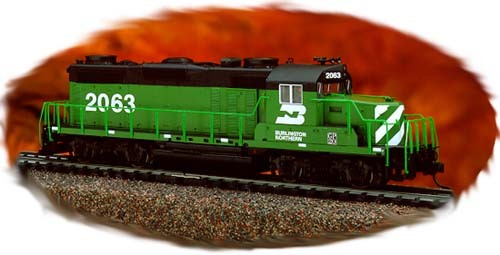 The Life-Like 'N' scale model of the GP20 includes more separately applied detail parts than any 'N' scale locomotive previously done by Life-Like. Eight wheel drive and electrical pickup combined with a metal chassis with body mounted couplers and dual flywheels provide for a smooth running locomotive powerful enough to pull your freight trains just like the prototype. The 'N' GP20 also comes with prototypically correct dynamic brake detail.